The sign for the newly opened medical and recreational marijuana outlet on Stockbridge Road in Great Barrington, Mass. 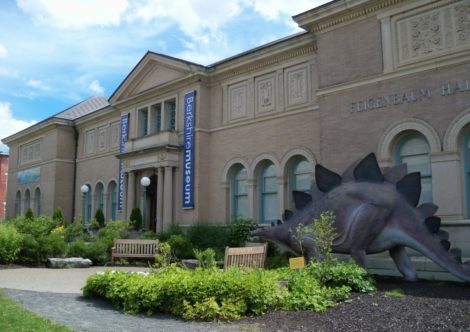 Consider The Caregiver-Patient Connection (CPC), in Barre, Massachusetts. Maybe it will no longer surprise Berkshire County citizens to learn that this is the name of a marijuana cultivation facility, and not a hospice center. Still, it merited an email to the owner to learn more. Presumably, then, if and when CPC opens a brick and mortar store, the store’s new name will better align with its products. But here’s the thing: as far as the Cannabis Control Commission is concerned, “The Caregiver-Patient Connection” fits a recreational cannabis outlet. 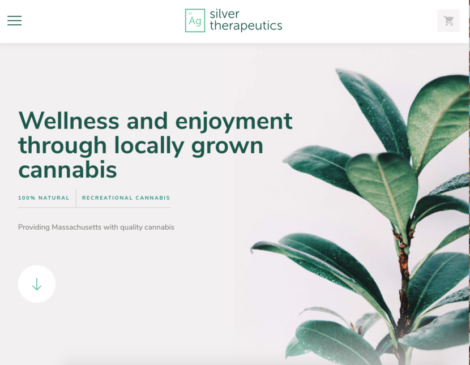 Its title doesn’t have to change when the entity’s profit status changes, or, of more immediate relevancy to us in Berkshire County, when operations shift from medicinal to recreational.The CCC charges a fee for a name change, and it’s a huge hassle to rebrand a business, which further discourages it. But the most significant reason why stores with head-scratcher names will be popping up around the state is that the CCC explicitly has forbidden retail marijuana stores from describing what they sell. It’s the summer of 2017 in Great Barrington. I drive my minivan by a newly revealed store. 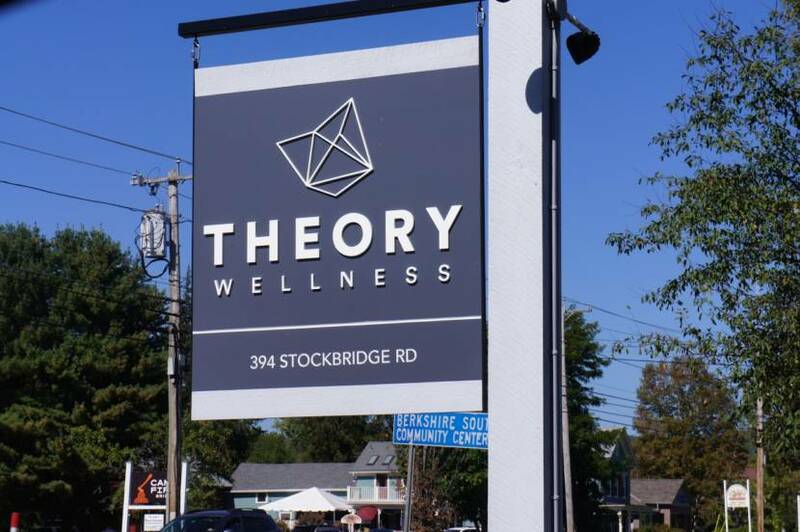 “Theory Wellness,” reads its black sign, which also features a geometric shape of some kind. My 10-year-old daughter asks, “Is that a doctor’s office?” My 6-year-old son thinks it sounds like the kind of place where you can get kale, while my husband says chiropractor. But when I learn it’s a medicinal pot dispensary, I think “wellness” makes sense. I’m inclined to think well of the place when a few months later my friend tells me CBD oil from the store has eliminated the migraines that have plagued her for years. Another friend credits it with helping her insomnia problems. 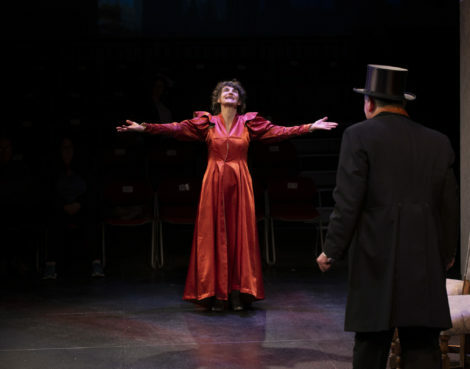 Skip ahead to January 11th, 2019. 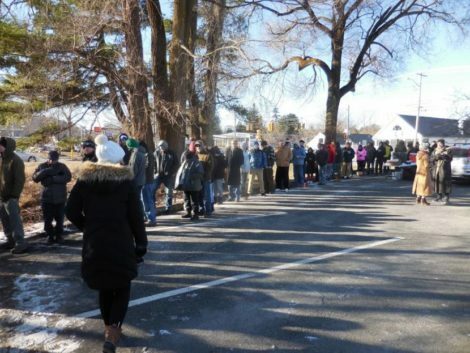 Theory Wellness still sells CBD, but the excited folks waiting in frigid temps in the 2-hour line are there for the THC. Same name; different raison d’être. Rule 500.105 4a, like many others, is presumably based on concerns expressed by citizens during the commissioners’ listening tour of the state last year, and based on those concerns the Cannabis Control Commission’s marketing guidelines have aimed to hide the industry from kids. In at least one respect they’ve incorporated lessons learned in Colorado, which in 2017 banned edibles shaped as humans, animals or fruits. You won’t find those shapes in Massachusetts stores either. Packaging must be tested as child-proof. Businesses must ensure, “all marijuana products are kept out of plain sight and are not visible from a public place without the use of binoculars, optical aids or aircraft.” The cannabis industry must disguise itself. 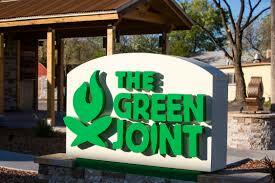 The Green Joint marijuana outlet in Colorado. Colorado has taken a more clear-eyed path. Recreational marijuana store names there describe, or provide decent hints about, what they sell. The Green Joint. Potco. Lit. Fox Cannabis. New Broadsterdam. Sweetleaf Pioneer. Bud Hut. Euflora. The Greenery. High Q. Prohibition Herb. Many business signs include an image of a marijuana leaf, or green cross, or, in the case of Green Cross in Silt, where my friend lives, both. In taking the opposite tack, Massachusetts has set the stage for my 8 year old, soaking in new words and meanings every day, to go beyond associating pot with safety; how could he not get the message that it’s as good for him as a good night’s sleep and Vitamin C? On the morning of January 11th, while lines were forming and photographers were setting up outside Theory Wellness, the store’s name was a topic of discussion among students and adults attending a meeting of the South Berkshire Community Health Coalition at Monument Mountain High School. An eighth grader said he assumed it was a yoga studio. The freshman girl next to him nodded her head. The “It’s harmless” argument enjoys great traction here among adults, despite the fact that the science is clear enough; marijuana, while not as bad as alcohol or nicotine, damages the still-developing brains of teenagers, and early use doubles your chance of developing a dependence. A study published this past October in the American Journal of Psychiatry found that teen brains are more vulnerable to cannabis than they are to alcohol. On a Facebook thread arguing about whether or not marijuana causes schizophrenia, the comment I liked was: “Let’s get it off Schedule 1 and find out.” Schedule 1 is the government’s classification for the most serious illegal drugs, and the reason why no serious study can be done on cannabis. It appears likely that New York State will approve recreational marijuana in 2019, and no doubt other neighbors will follow suit. 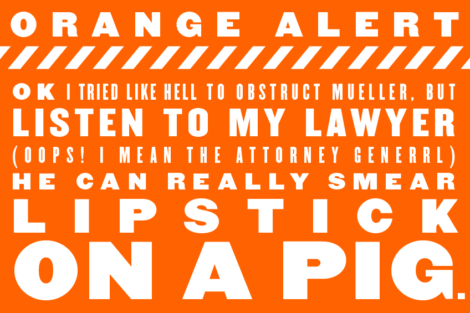 In that event, take heed, state regulators, of our missteps in Massachusetts. Call a spade a spade and a joint a joint. While you’re erasing the letter of prohibition laws, go ahead and erase their head-in-the-sand spirit as well. You can’t understand what’s in front of you if the laws make it play hide and seek. An ironic announcement made at the January 11thcoalition meeting reinforced the error in our state’s approach. The guidance counselor in attendance reminded us to attend Monument Mountain Regional High School’s upcoming Health and Wellness Fair. Upholding the tradition of the “Package Store”. What is the CCC s position on bongs? Yey or nay?